I honestly wasn't expecting such a massive support. My boss(es) even came to talk to me about this, after it explodes all around the world. If you wanted to have the attention of Namco Bandai Games, now you have it. The future is in your hands, and I hope you will keep supporting this. I make a personal objective to make sure every relevant people in Namco Bandai Games is in touch with this formidable effort. By Shoupinou's own admission, he "can't say it's going to happen," but it is encouraging to see some NB execs have noticed the efforts of Dark Souls fans. This wouldn't be the first time that NB has acted in response to the community's wishes. Late last year they released a patch that greatly increased player connectivity in Dark Souls, making it easier for friends to co-op together. 66,000 signatures could equal a chunk of change for Namco Bandai. Of course, this would also expose the game to massive piracy and hacking, which some people tend to frown upon. 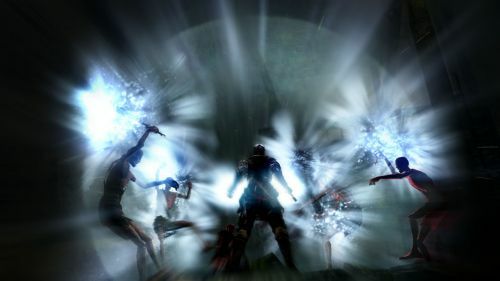 In other Dark Souls news, EGM has reported that the hard-core RPG will soon be receiving some form of DLC in the first quarter of 2012. Little is known about the DLC, but there has been speculation that the add-on may have something to do with developer From Software's "Yami no Mori" trademark, which EGM says translates to "Dark Forest" or "Forest of Darkness." I looked it up on Google Translate, and it checks out. Anyone familiar with Dark Souls is aware of the perilous Darkroot Garden forest. It's a PvP flusterbuck, and many players absolutely LOVE it. 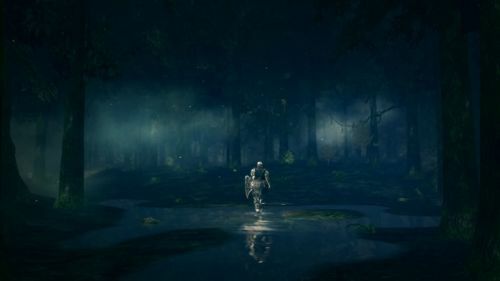 A new area would be simple enough to add to Dark Souls, since many locations are hidden or can only be accessed by "warping" to them. It will be interesting to see how the new content will be implemented. Dark Souls is out now for the Xbox 360 and PlayStation 3. It supports three player online co-op. Page created in 0.4321 seconds.